Kundalini Yoga is an ancient technology which utilizes the breath, eye position, body postures and movements, and chanting to create change. One must experience this to understand the power of this technology. Dr. Dharma Singh Khalsa documented the use of this technology for healing in his book "Meditation as Medicine." How is kundalini yoga like hypnosis? Kundalini Yoga accesses the subconscious mind through the body. 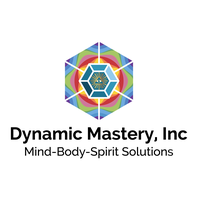 This technology is different than hypnosis, as most hypnosis is focused on creating relaxation to slow the mind and create subconscious access for change. How does Helen use kundalini yoga? Helen will use elements of different breath techniques within the hypnosis session to deepen relaxation. Or, she may use a specific eye position to initiate more alpha brainwaves and thus induce hypnosis. Or, she may use another breath technique to more fully awaken a client following a session. When a client is experiencing a mind body split (see more info of this under "How Has Helen Used the Mind Mirror"), a Kundalini Yoga technique can resolve that split. There are many medical meditations within the Kundalini Yoga tradition. At times, Helen has taught Kundalini Yoga meditations to address specific issues. In 2008, following a 9 month training, Helen was certified by Guru Ravi Kaur Khalsa as a KRI level 1 Kundalini Yoga instructor. In 2010, she attended "How Meditation Works From a Scientific Perspective" offered by the Guru Ram Das Center for Medicine & Humanology. To explore alternative avenues to address addictions, in 2014 she completed the 48 hour training: SuperHealth: Specialty Professional Training. Yogic Science to Break Habits & Addictive Behaviors. Helen has personally practiced kundalini yoga, taught numerous community yoga classes, taught individual clients specific medical meditations, and held a kundalini yoga retreat.